What do you do when you are 4 pitches off the ground and your partner gets injured, you rappelled past the anchor, or the terrain is simply too hard!? Having a handful of tricks up your sleeve could make the difference between having a small misadventure or a call-for-a-rescue epic. In this two-day clinic you will learn from Josie McKee, former member of the elite Yosemite National Park Search and Rescue team (YOSAR), and practice the skills to get you and your climbing partner to safety when your multi-pitch doesn’t go as planned. Mastery of ATC guide or Reverso (or other tube-style locking belay devices) - They are useful for SO MUCH MORE than just belaying! Load transfers - belay escape, passing a knot, unweighting a stuck haul bag, etc. Rappels - preventing things from going wrong and what to do when things do go wrong. Climber Requirements: Multi-pitch experience (sport or trad), including the ability to build an equalized anchor, belay from above, and set-up a rappel without coaching. Enlivened by movement, inspired by wild places and curious to see what's possible, Josie finds herself continuously drawn to the adventure, challenge and the presence of mind that only climbing can provide. Josie is a professional climber with 20+ years of experience. 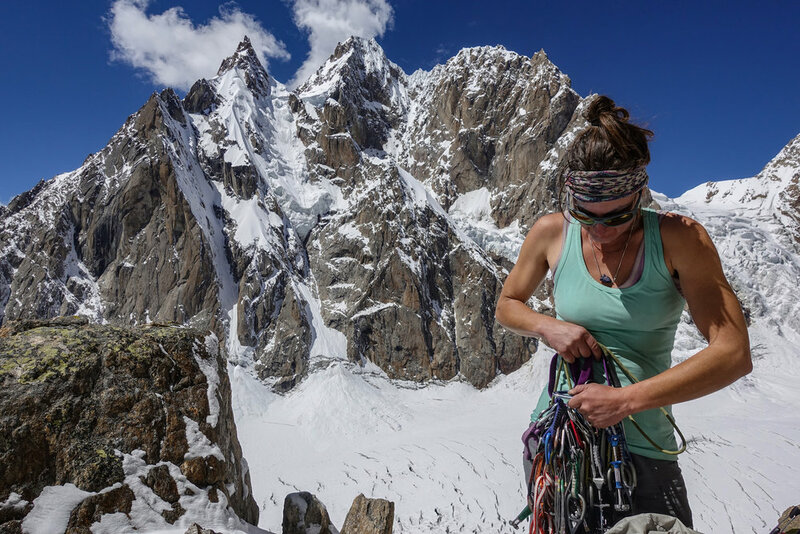 She’s done everything from bigwall speed climbing to competing in international sport climbing competitions to expeditions in Patagonia and the Himalaya. She supplements her climbing with work as an educator and guide. She has worked on the elite Yosemite National Park Search and Rescue team (YOSAR), guided around the US and internationally, and currently teaches wilderness medicine courses for NOLS. Through climbing and rescue work, Josie has developed an extensive skill set. Along with her knowledge of technical systems, she learned to thrive under intense mental and physical stress. Her goal as an athlete and coach is to educate and inspire others to meet their own physical, mental and technical challenges. Her favorite things to teach include: technical rescue, bigwall climbing, mental training and multi-pitch efficiency.